The Iranian military is predominately thought of for its capabilities and strategy in the Gulf. Though the competitors differ in the Caspian Sea, the Iranian Military has a similar composition and strategy in this theater. The Strait of Hormuz is a global chokepoint for the flow of oil in which Iran is able to leverage the asymmetric tactics of its comparatively small navy to conduct area-denial operations. Although the Caspian Sea doesn’t have a chokepoint that would be the focus of the Iranian military, it utilizes these same tactics and capabilities to enforce their holdings and claims in the Caspian Sea. Although the Caspian Sea states haven’t officially come to terms on their respective maritime claims, Iran currently firmly controls about 12% of the Caspian Sea. The current Iranian holdings are very difficult from an economic perspective as they are resource rich but also much deeper than the rest of the Caspian Sea, which makes extracting these resources far more difficult. This is a major contributing factor to the Iranian claim to fully 20% of the Caspian Sea, which conflicts with other states’ claims. There are essentially two threats to Iran in the Caspian Sea over these territorial claims: Russia and Azerbaijan. During the Russian Empire and the Soviet Union the Caspian Sea was primarily under Moscow’s control. Even after the dissolution of the Soviet Union, Russia has consistently sought to be the major power in the Caspian Sea. This is reflected in three ways. The first way is that the Russian Navy maintains the largest fleet in the Caspian Sea. 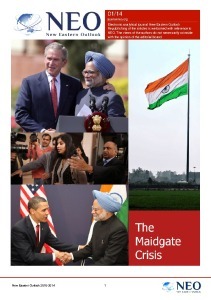 The second way is through gearing the other Caspian states against Iran, being Russia’s main regional competitor, through soft power moves such as joint military exercises and trade agreements. The third way is through overtly blocking Iranian attempts to build up its navy in the Caspian Sea, such as when Russia denied Iran the use of its rivers to transport a warship from the Gulf to the Caspian Sea. Being that Russia is the major military power in the Caspian Sea, an asymmetric defense similar to Iranian strategy in the Gulf would translate well. The second threat to Iranian claims in the Caspian comes from Azerbaijan. Although not a large military threat, Iranian claims in the Caspian Sea overlap mostly with the Azeri claims. This is primarily due to the contested areas having prime depth for resource exploitation. In particular the proposed Western-backed pipeline, which Iran opposes, would traverse this area and head through Azerbaijan towards the West. Iran has tested these waters with an incursion by an oil platform which was virtually unopposed by the lackluster Azeri Navy. With this type of incursion Iran has shown it is ready to engage in its preferred naval strategy of area-denial to enforce new acquisitions. Even the mighty US Navy, the world’s strongest and a sign of global American power, is frustrated by the Iranian Navy. The Strait of Hormuz is able to be blocked off by Iran due to its leveraging of asymmetric tactics to conduct area denial. Although this scenario hasn’t been tested in actual combat it has shown to be worrisome to the US with the adoption of doctrines such as AirSea Battle which focus on countering anti access/area denial capabilities. Therefore it is logical that this Iranian strategy would be employed in the Caspian Sea to enforce its claims against local neighbors. The Iranian chain of command is decentralized in that small unit commanders have enough autonomy to carry out the overarching strategy even with infrequent communication between itself and central command, which creates capacity to absorb attempts to decapitate the command structure from its constituent units. The Iranian military copies this strategy with all of its serving units beyond the navy, meaning its entire military could operate in this manner within a Caspian Sea conflict. To supplement the decentralization of the Iranian military command structure is a culture of sacrifice within the Iranian military. This is in reference to the motivation for service-martyrdom that is highly emphasized within the Iranian military. To get the most out of its asymmetric strategy it is important that the Iranian military is able to rely on their personnel to put everything on the line to be able to accomplish their mission even if they are cut off from their command structure. This is also rumored to involve the planned usage of suicide attacks as part of Iran’s military strategy. Regardless of the use of suicide attacks or not, the Iranian military has plenty of tools at its disposal to secure its claims in the Caspian Sea. 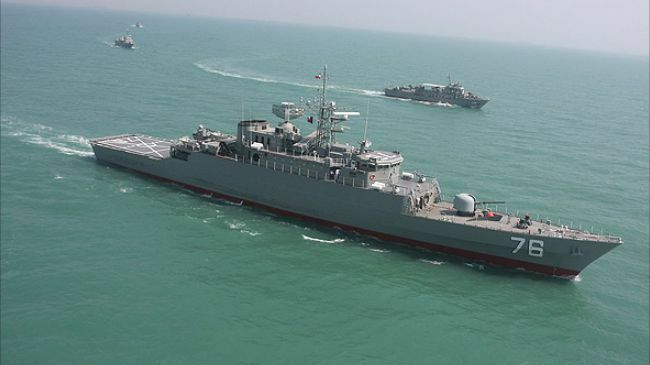 Iranian surface ships are capable of extensive mine-laying operations which deny an area to their enemy and serve as a deterrent to any other waters that the Iranian Navy operates. Iranian submarines also serve this purpose in that their existence is a deterrent to enemy naval movements. Closer to the coastlines, small attack boats have the capacity to ambush naval ships from concealed positions in suicide or hit-and-run attacks. Further inland Iran still has land-based missiles and aircraft which are able to be deployed to secure and deny their claims against enemies. Finally, Iran has the ability to deploy Special Forces to conduct sabotage, hit-and-run, and suicide attacks against enemy military facilities. Therefore, the Iranian military has the ability to at least significantly frustrate the ability of an aggressor to encroach upon Iranian claims within the Caspian Sea, similarly to their strategy in the Gulf, even when faced by a supposedly superior military rival like the United States or Russia. The growing geostrategic importance of the Caspian Sea has been reflected in the growing Iranian military emphasis on it. 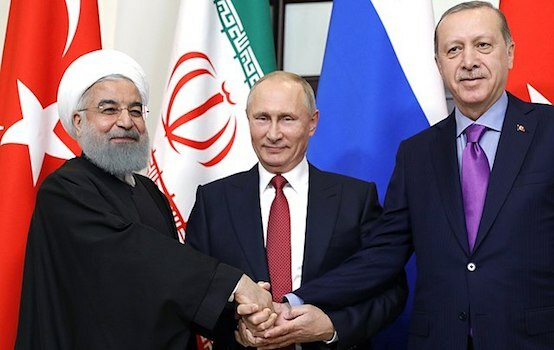 Whether it is the threats of the powerful Russian Caspian Flotilla wanting to retain power over the Caspian or Azerbaijan’s overlapping claims with Western backing, Iran feels backed into a corner. Thus having a doctrine of being able to operate with ‘the command head cut off’, pushing a martyr morale throughout their military, and emphasizing tools to conduct area-denial operations makes the Iranian military a formidable opponent. It is potentially the hydra lurking beneath the surface of the Caspian’s contested waters, making an impact far beyond the immediate region.